Guide for stringing a stick. 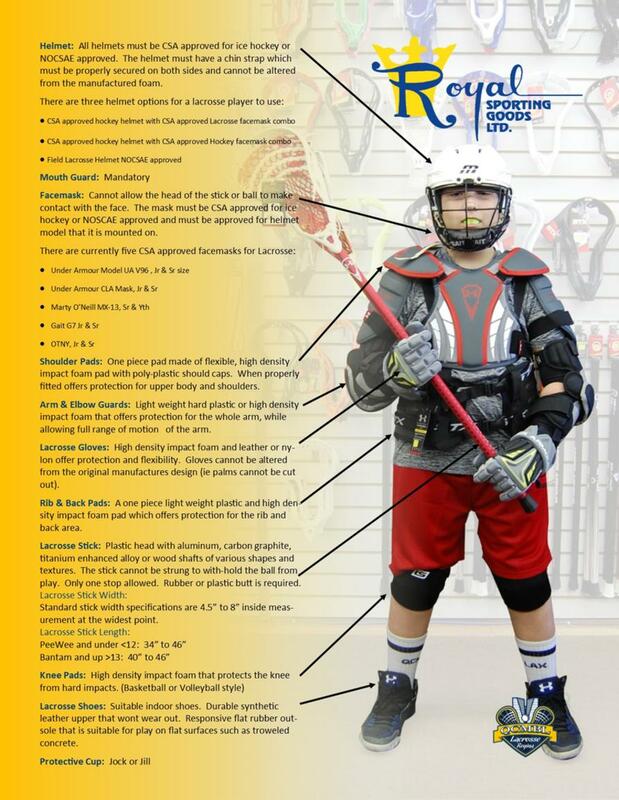 Junior Canadian Lacrosse Stick (recommended). Elbow Pads (Arm slash guards are recommended, not mandatory). Lacrosse Stick with a minimum length of 34 inches.